The sharpness of the text is unbelievable! Larger photos in gallery. The Johnson Blog on the Kindle. So can that use wi-fi to download text, or do you have to connect it to a puter? 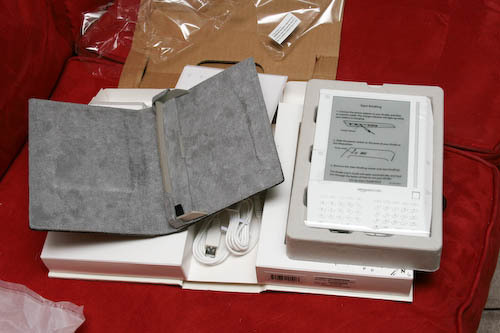 It actually uses a cellular connection to let you buy/download books, newspapers, blogs, etc. so you’re not tied to wi-fi hotspots. It’s an electronic book, finally one that has a lot of thought put into how it works and feels. 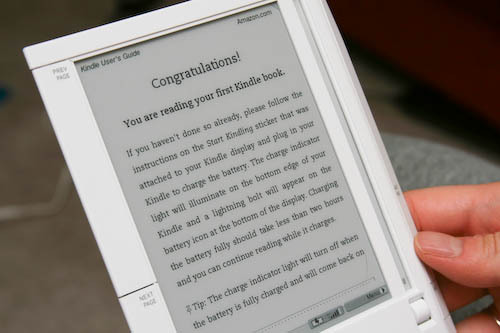 It’s not just a handheld computer that you can read on, it has been design by Amazon to just get out of the way and let you comfortably read. One of the big appeals is you can carry your entire library with you, and just about anywhere there’s cellphone service and buy more books to read (in addition to read newspapers, websites, etc). 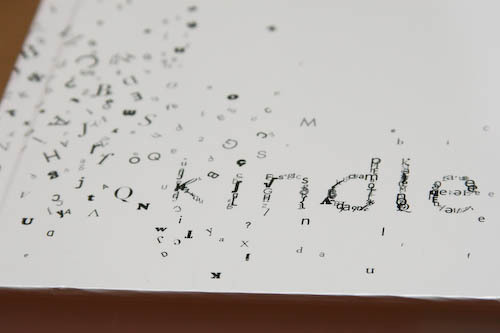 It uses Electronic Paper instead of a typical computer screen, so reading on it is just like reading printed paper.